Please can I introduce myself to you. 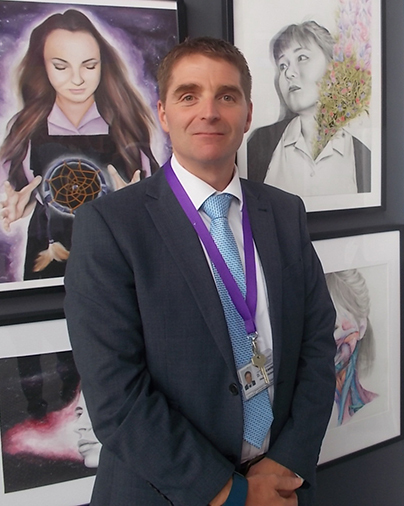 My name is David Lancaster and I am delighted to be the newly appointed Head of School. I am really looking forward to working with all of our students, staff, parents and the wider community. I am totally committed to ensuring the best possible outcomes for all of our students. I have been a teacher for twenty six years; I started my career as a PE teacher. My school leadership experience was gained within Greater Manchester. More recently, I have led two academies over the last three and a half years within a large Multi Academy Trust in Lincolnshire. Both academies have been on a steep trajectory of school improvement and are now in very strong positions. I have a very simple view of education. Your child needs to be challenged and supported to achieve their ‘Personal Best’, every day. We can do this ensuring we provide quality first teaching and communicate with you to provide the best outcomes for every child.